Add a pop of color into your Spring rotation with The Pink Prestwick Gingham Dress Shirt. This shirt is a bold pink and blue gingham, constructed with lightweight, 100% cotton poplin fabric. Features the Ledbury Spread collar and single-barrel cuffs with reinforced buttons. 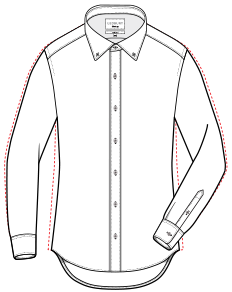 Slim fit features a darted back for a more tailored fit around the torso.